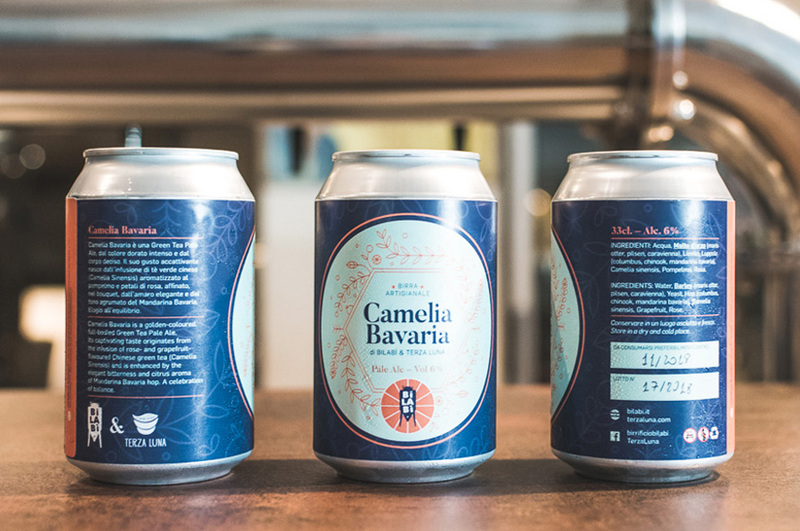 Camelia Bavaria is a golden-coloured, full-bodied green tea Pale Ale. 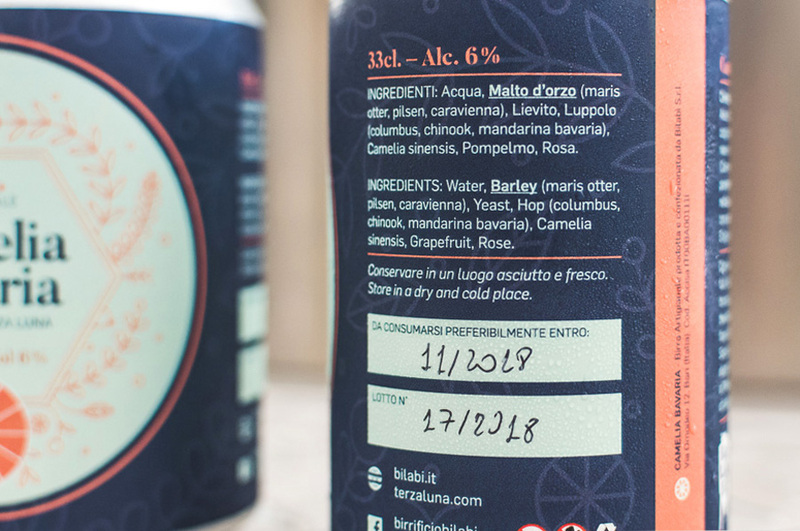 A craft beer produced by Bilabì, a brewery located in Bari, southern Italy. 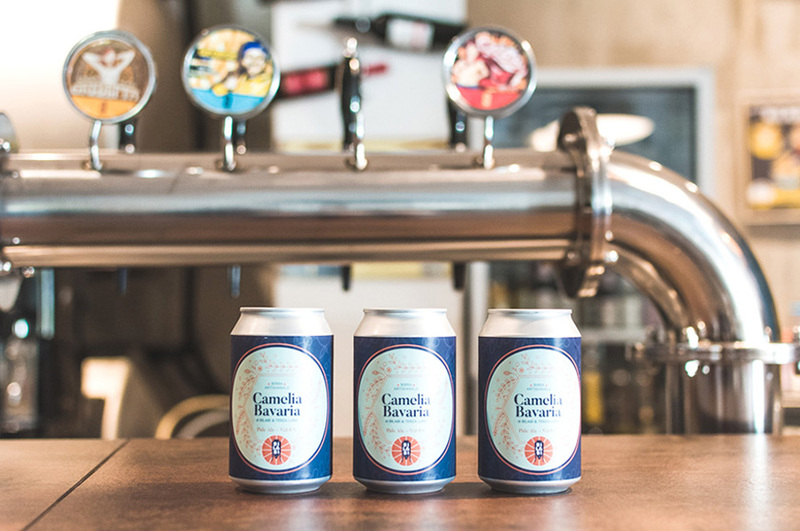 In collaboration with Terza Luna, a local specialized tea shop, they decided to produced an original beer including green tea (camelia sinensis) in its ingredients. 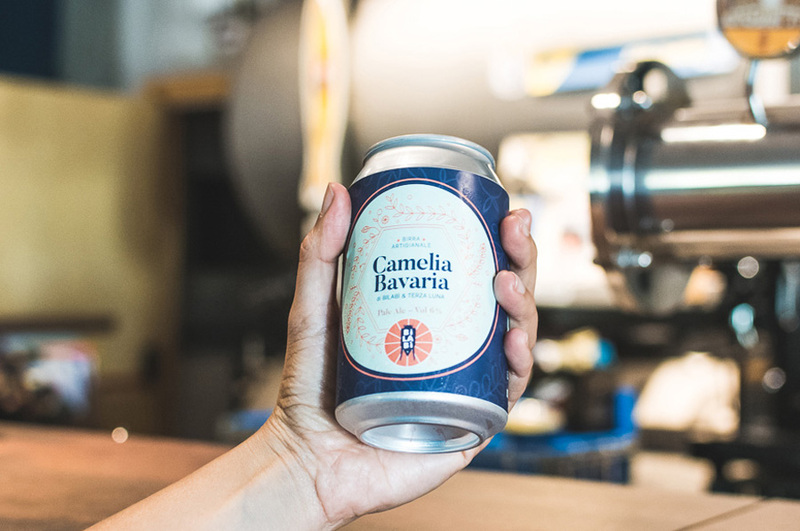 The label was designed taking into account the ingredients of this beer based on green tea, grapefruit and the hop mandarina bavaria. The orange color was chosen to highlight the mandarin and the grapefruit. 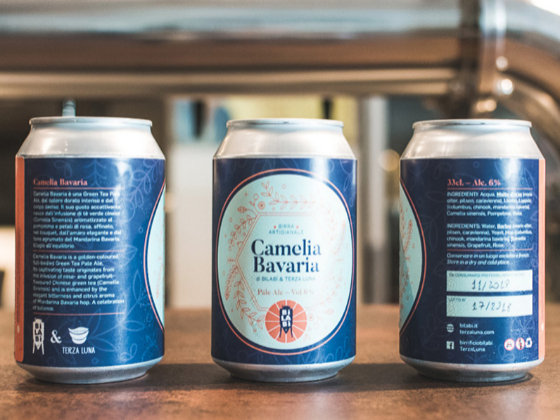 The dark blue was selected to give contrast and to grant the label a more classic look. 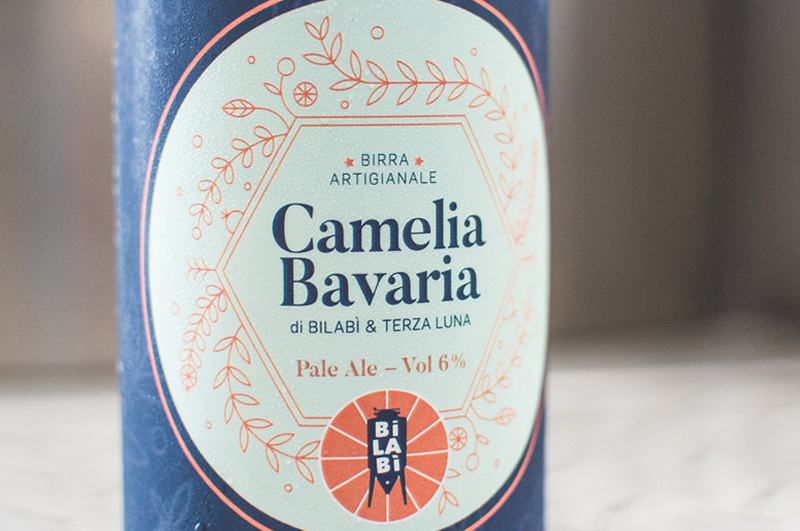 The pattern provides a fruity herbal feel to it, which is the main feature of this beer’s aroma and flavor.